A 1001 Children's Book. 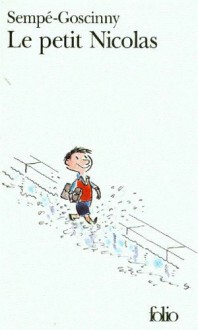 Nicholas is a bad boy, a Dennis the Menace from France, in and out of (but mostly in) trouble. He attends a boarding school where most of the other boys are also bad boys. It makes for a story equally compelling for children and grownups.